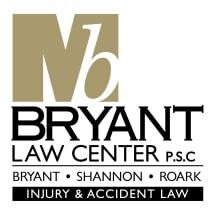 The Bryant Law Center is a Paducah, Kentucky, law firm with a nationwide reputation for results. Our firm is led by accomplished attorney Mark Bryant. Mark has put together a team of experienced, driven lawyers who are committed to be legal advocates for their clients in Kentucky and across the United States. When you are facing legal problems, whether it is a personal injury caused by a defective product, a motor vehicle accident, an arrest or divorce, the lawyer you hire could be the biggest decision of your life. Our law firm has decades of experience in the legal system and we are not afraid to demand that standards of equality and fairness be upheld. Our lawyers have been featured on NBC Dateline and other national news programs. Our awards and accolades include being named a 2018 Best Law Firm in U.S. News & World Report.